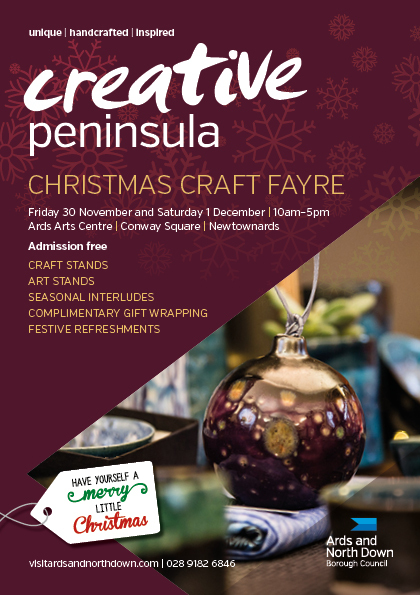 This survey is regarding the Creative Peninsula Christmas Fayre which took place in Ards Arts Centre on Friday 30 November and Saturday 1 December. As a stallholder, we value your opinion and your feedback is important to us. Please fill out this survey and return it to us by the closing date of 10 January 2019.